INVASION! Africa and China are at war. The battlefield: Europe. 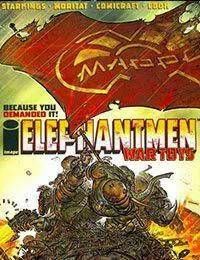 Enter: MAPPOs genetically engineered soldiers, The Elephantmen. At last, Starkings &amp; Moritat tell the story of the war to end all wars in this special three-issue miniseries.